We have Just Sold out of Star Wars Rebels Inquisitor Maquette Statue. Not to Worry! Fill in the Notify me When Available and you will be the first in line for our restock of Star Wars Rebels Inquisitor Maquette Statue !! From the Star Wars collection by Gentle Giant. 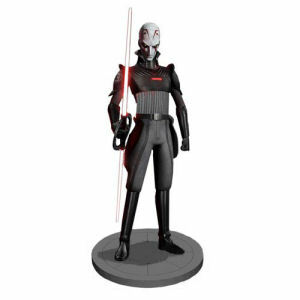 Star Wars Rebels Inquisitor Maquette Statue. 1/8th Scale highly detailed Inquistor from the Star Wars animated series. Comes with certificate.